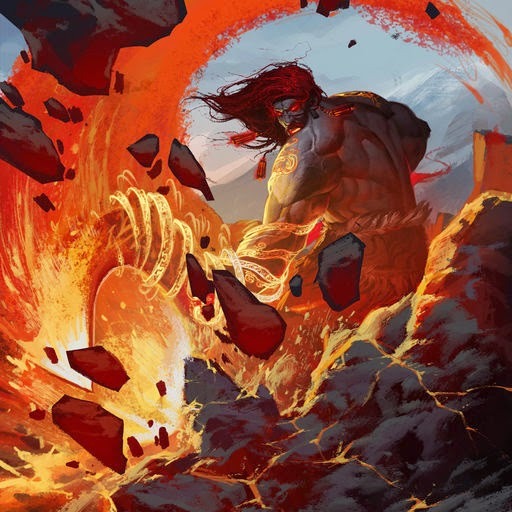 In this special edition of the SCA, Seyfert goes over Iztek, Khan of Arrachtor, one of the less consistent cards released in Set 3. Iztek, the Khan, the avatar. Call him what you want but this dude can pack a punch. Iztek itself is a subpar creature, being a 5/5, 9/9, and 15/15 at each level. However, combined with his spells, he transforms into one of two powerhouses, both of which are Aggressive. Before going through the different forms of Iztek, I'll go through the spells that transforms him. 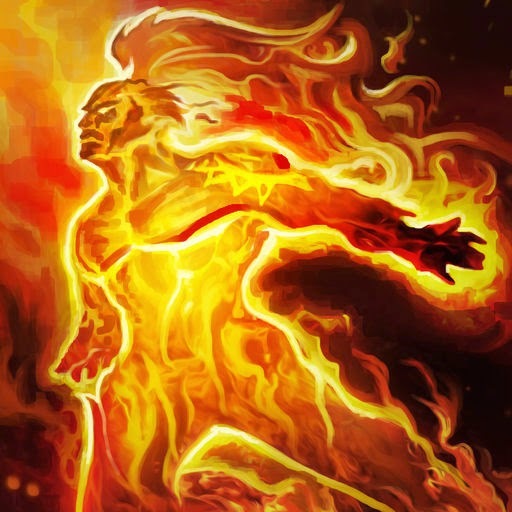 Iztek's Flame is a straightforward burn spell. Dealing 6/9/15 damage, it's just about as straightfoward as it gets. How significant is that damage is a question to be asked. At level one, 6 damage can kill a Dysian Broodqueen, Ghox, Metamind Paragon, Flamebreak Invoker on its own, something that is matched only by a certain other card which has a site named after it. (I don't know Sey, what could it be?). Also important to note is that it can kill Grimgaunt Doomrider with the help of a Static Shock or Flamebreak Invoker. 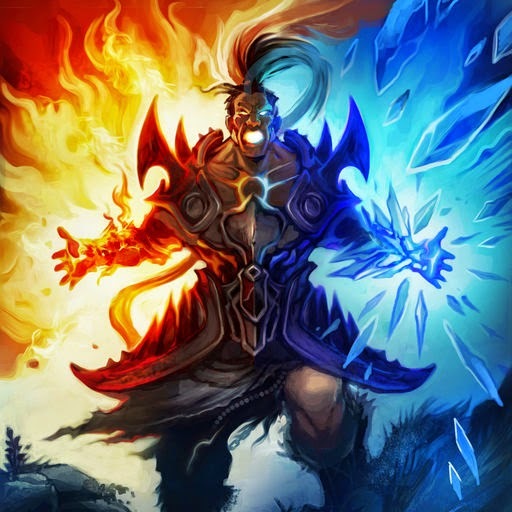 The Avatar of Flame is what makes this deck able to do the damage that it is. Having stats of 7/5, 12/9, and 20/15 means that it's not going to survive a lot of trades with things on-level. However, as Iztek is aggressive, even if your opponent does throw something in front of it to trade, it's usually already done 12/24/40 damage to your oppponent. In fact, although it doesn't happen often, in 90% (no official statistical backup, but its somewhere around there) of the games you draw an Iztek 3+ Iztek's Flame, it's just an auto win. Iztek's Frost is something a little less straightfoward than its hotter counterpart. On its own it seems almost useless. Giving something defender for a turn doesn't really achieve much at all. The card is potent because its second line of text that states that a Frosted creature shatters when damage is dealt to it. Being soft-gated and free at level 3 means that this can combine with any burn spell to kill any creature without armour, provided it is the right level. 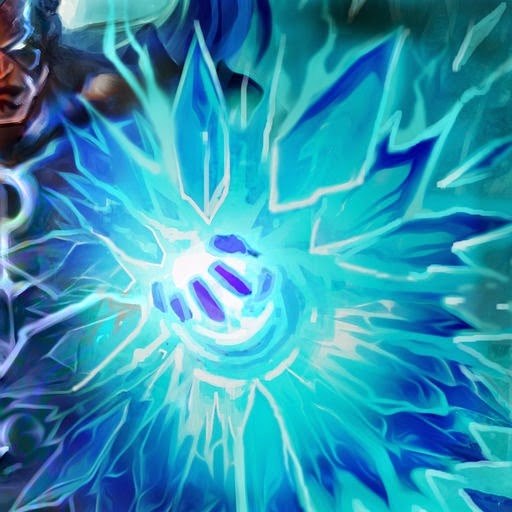 While spending two cards to kill one creature may seem unappealing at first, it is of note that this is almost the worst case scenario with Iztek's Frost. Ideally it will be used in conjunction with Flamebreak Invoker or Static Shock to kill it and still be able to play another card. Good ol' Frosty has an ability which lets you 'ping' a creature that scales simillar to Brightsteel's armour. Being 5/7, 9/12, and 15/20 means it will not trade with the average creature, which essentially allows you to use his Activate ability twice. His activate also can target your own creature if you wish so as well. While the damage he deals is not as relevant at level one as you have most likely used it to kill whatever you played Iztek's Frost on. However at levels 2 and 3, you can sometimes pick off an opposing creature with just the ability alone, allowing you to Frost something else to stop it from attacking you next turn. As you're playing a 36 card deck, you will want two kinds of things in your deck. Things that are good underleveled (Statistics say you will draw more level one hands than a normal 30 card deck) and cards that make your chances of drawing specific cards (Iztek 3, for example) higher. 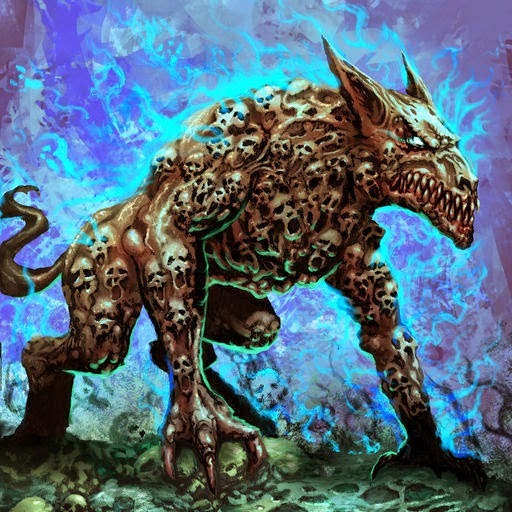 Direhound does both of these things and acts as un-Aetherphageable can't swipe. See the above comments on Direhound. Also, 8 damage to the face is relevant in a deck that can potentially burn your opponent out in the early game. Like most spell based decks, this deck usually gets better with a bunch of free plays. 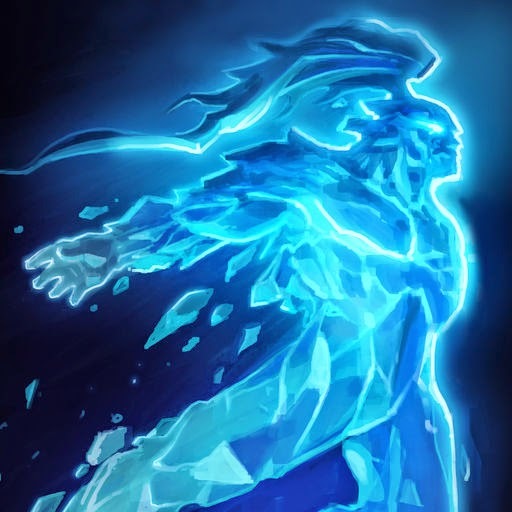 Even if they don't look like they do a lot by themselves, when combined with Flambreak Invoker or Iztek's Frost, the 1/2/4 damage will matter. It may also allow you to put the last few points of damage on an opponent you may otherwise not be able to kill. Iztek will heal to full health whenever it transforms, removing any debuffs, but also removing any buffs he may have received. Iztek transforming counts as him entering play not from your hand, so it is affected by Tarsus Deathweaver, Oreian Justicar and Herald Of Destruction. Iztek's Frost can sometimes be used on your own creatures so that they aren't on the offensive on the opponent's turn and can be saved for next turn. At some point in the game you need to know when to aim burn at your opponent's face instead of trying to remove creature. This will come with practice. If you have experience with Burn, the 'to the face' point for this deck is higher as Iztek provides more reach. This special edition of the SCA is brought to you by Seyfert, catch his streams at http://www.twitch.tv/seyfert_zero. 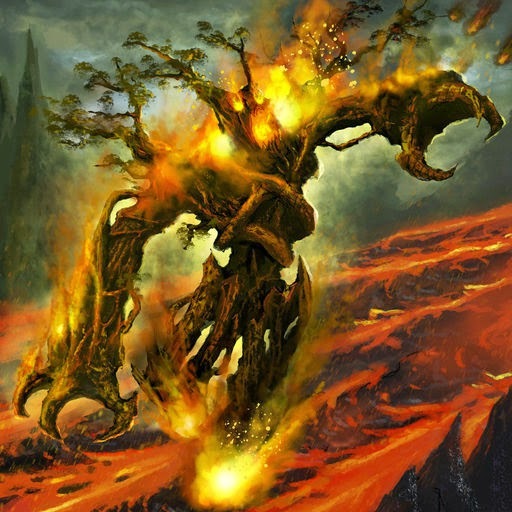 As with every decklist, what do you recommend in lieu of the Phoenix? 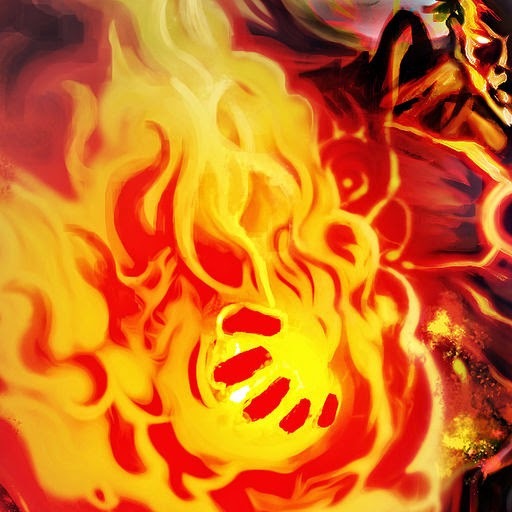 As Phoenix is often included as an underdrop in decks, Storm Caller is a budget alternative. 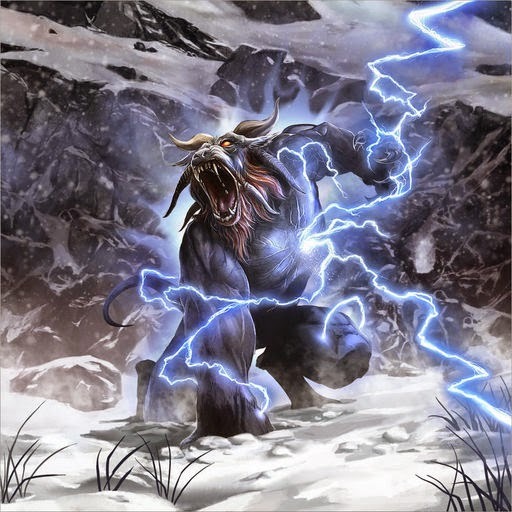 Hammerfang or Stormforged Avatar. They are able to move around for RoK plays and push through damage with their movement. Storm caller is fine as a body but personally I don't like it because it's less flexible.